Are You Rotating Properly? Let’s find out! You Must Swing Your Swing! 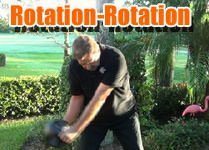 The “Scrunch Drill” with Arlen Bento, Jr.
Do you Hit The Golf Ball or Swing The Club? What Is Your Swing Speed?